Finding "play" at clown o Clock! 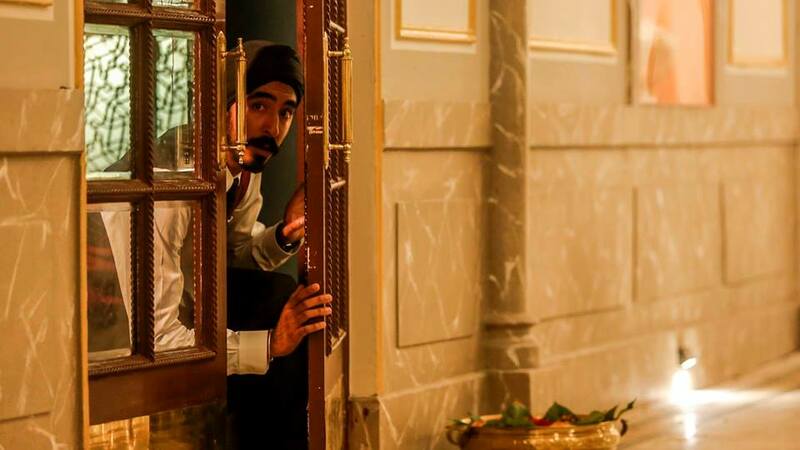 Hotel mumbai teaser has arrived. 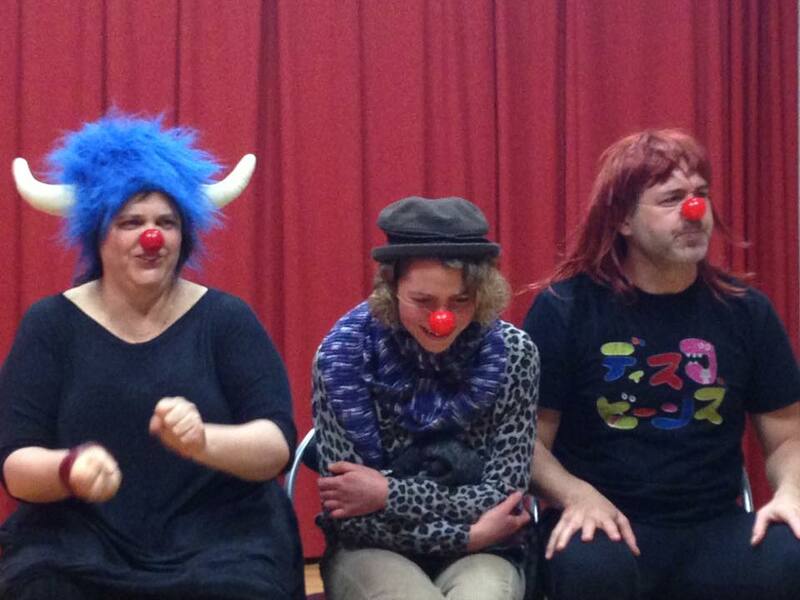 There were some very funny moments during Clown O Clock last night,as we improvised routines, finding plenty play!! i will be running workshops for clown O Clock on thursday 18th and Thursday 25th October from 7pm to 9pm. 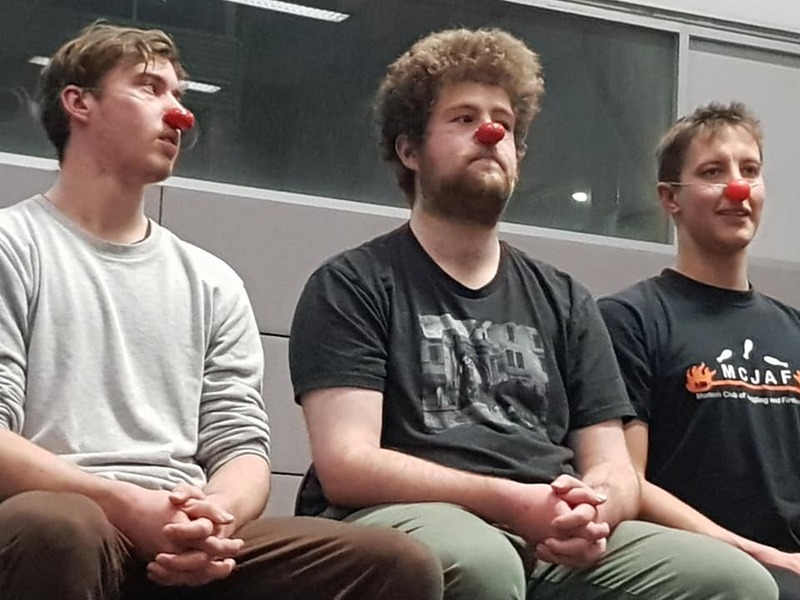 Great sessions at Clown O'clock. Teaching a very talented bunch of performers. I was working in two very different schools last week. On wednesday in a small outer suburban primary School as part of the social cohesion education pilot project for Banksia Gardens Community Services. The second was Loreto college working with year 7 to year 12 on a number of topics. the performing arts bridges all cultures and economic groups. A fun week!! 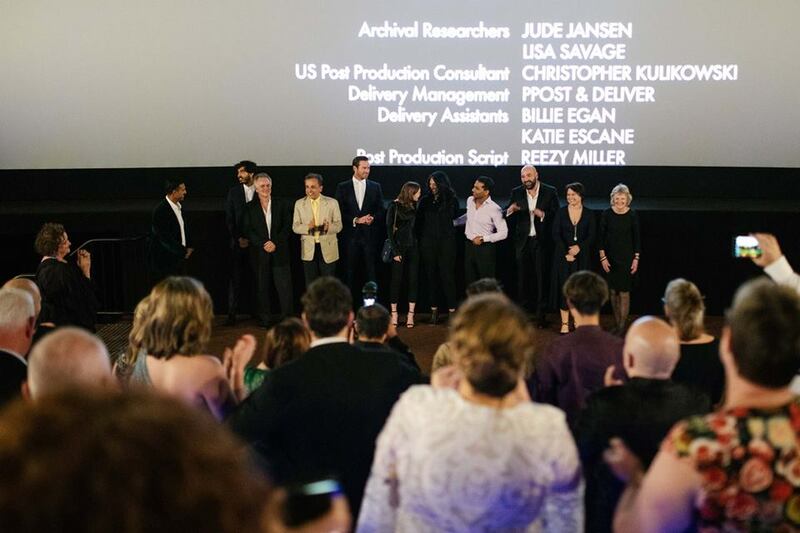 The feature film Hotel Mumbai is to have its world Premiere at the 2018 toronto Film Festival on Friday 7th September, with an Australian Premiere at The 2018 Adelaide Film festival on 10th october. 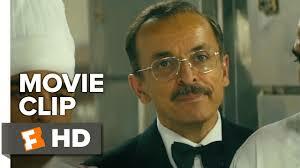 ​Very exicted to have been involved in this Film. 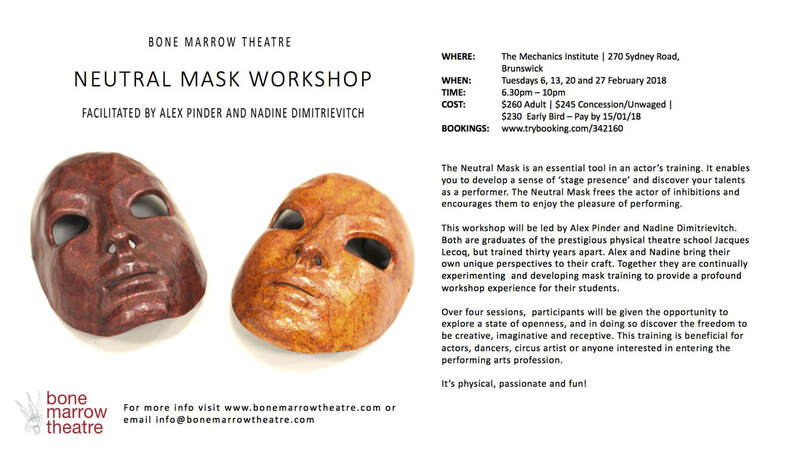 Bone Marrow Theatre is offering a series of Neutral Mask Courses this Winter at Dance house. 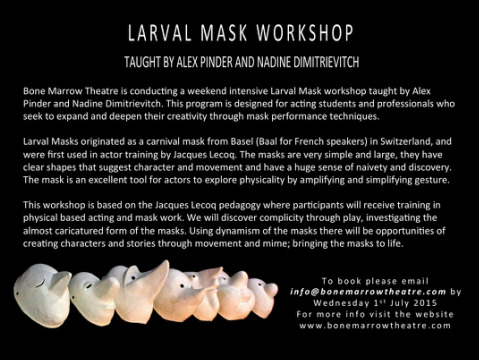 ​The Neutral Mask is an essential tool in an actor’s training. It enables you to develop a sense of ‘stage presence’ and discover your talents as a performer. 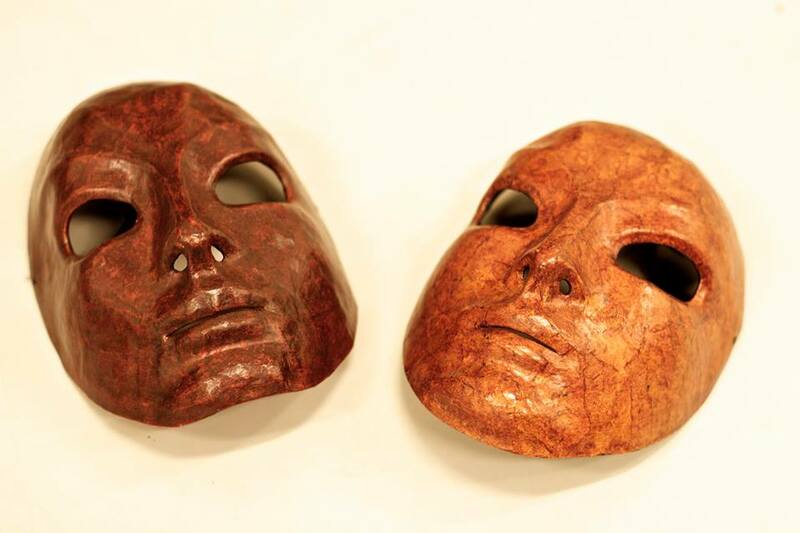 The Neutral Mask liberates the actor of inhibitions and encourages them to enjoy the pleasure of performing. In these sessions participants will be given the opportunity to investigate a state of openness, and in doing so discover the freedom to be creative and receptive. 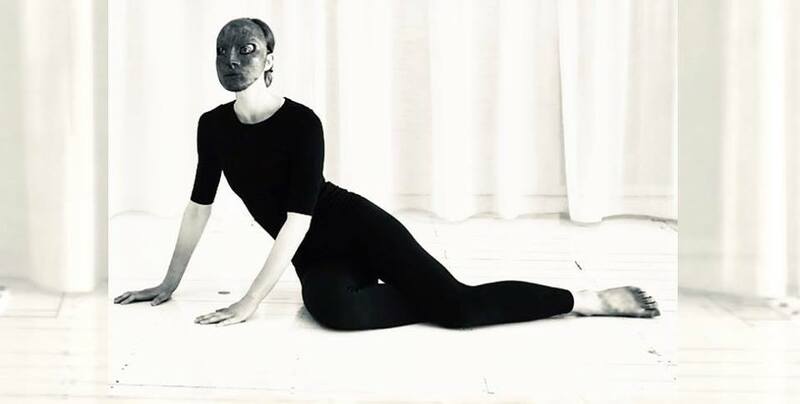 Using the Neutral Mask and movement we will explore and transpose the world around us into a corporeal response, with a focus on the elements, materials and colors. 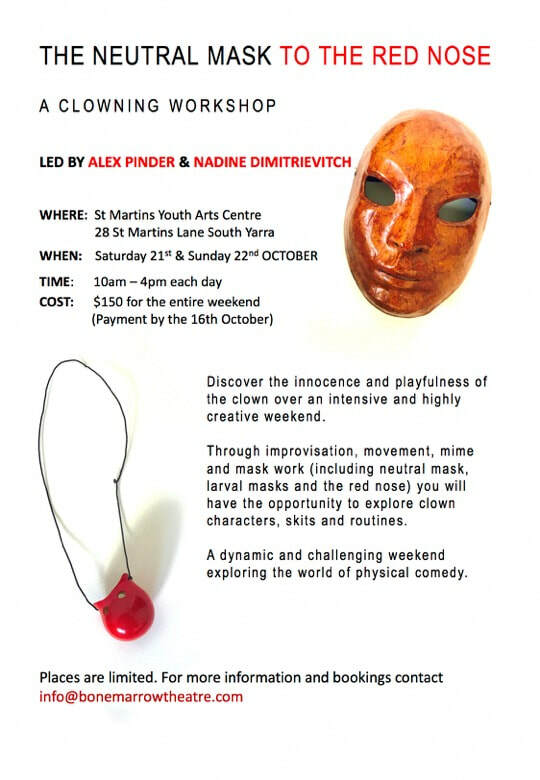 Through movement analysis we will explore the basic principles of mime and mask technique. Aiming to give participants control and flexibility in how they move in space and also to respond to the imaginary world we can create with movement. 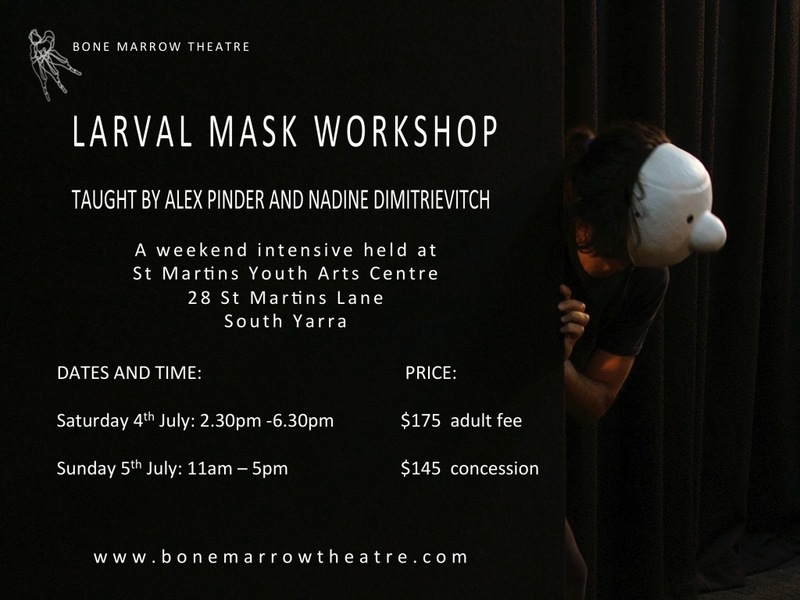 Participants will begin to devise their own characters, scenes and situations, using the mask as a starting point. 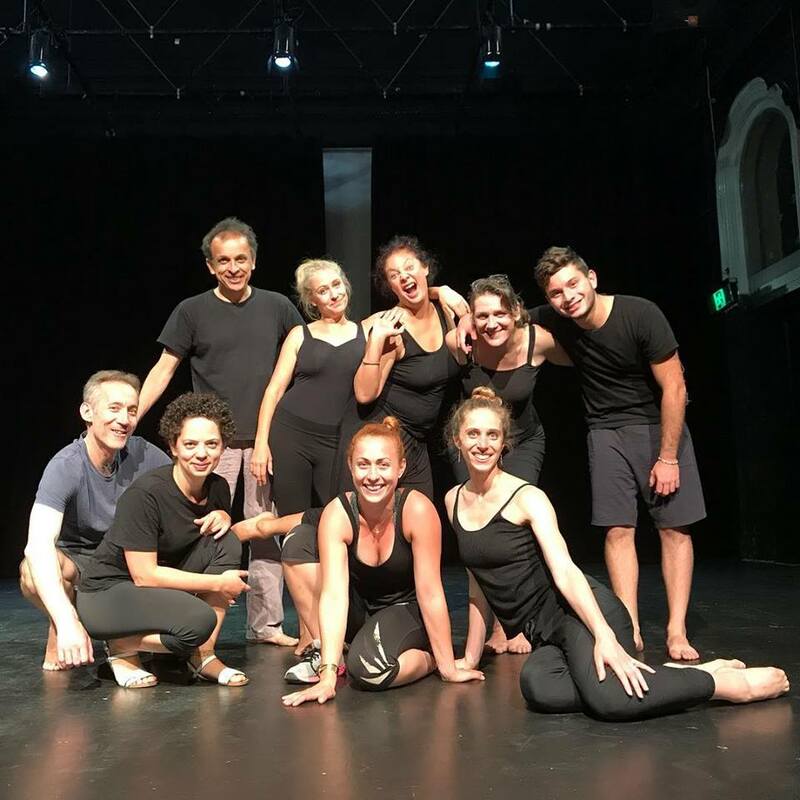 This training is beneficial for actors, dancers, circus artist or anyone interested in entering the performing arts profession. The elements. Using the mask and exercising your imagination you will explore the movements of the elements, and note your response to them. A time of self- discovery. 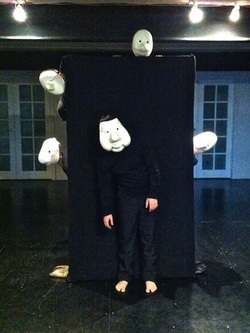 Creating theatre using the mask as a starting. 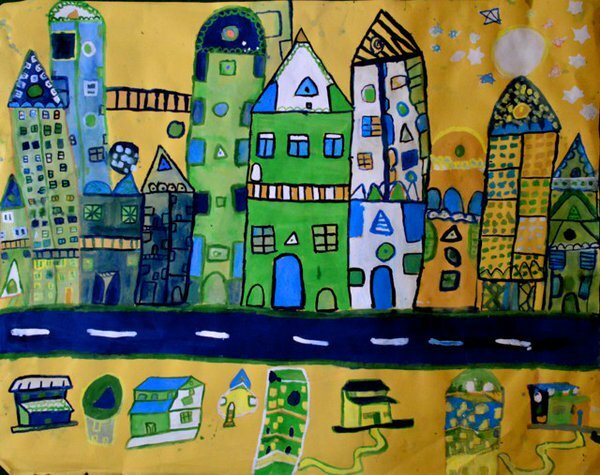 You will work with others to create short pieces in response to different provocations. A great weekend workshop in physical comedy.more workshops coming soon. June 2018 Back leading a workshop at Clown Oclock. 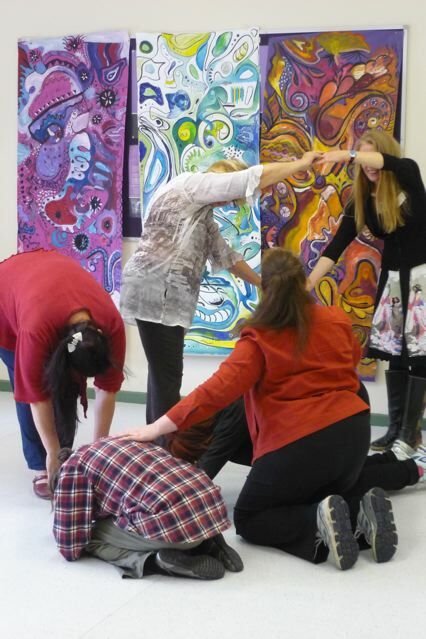 ​Participants Improvising with red nose. ​Is clowning all painted faces and big feet? That is just one aspect of clowning. In our workshop you have the opportunity to discover the clown in you. That is, your own playfulness, unique to you. 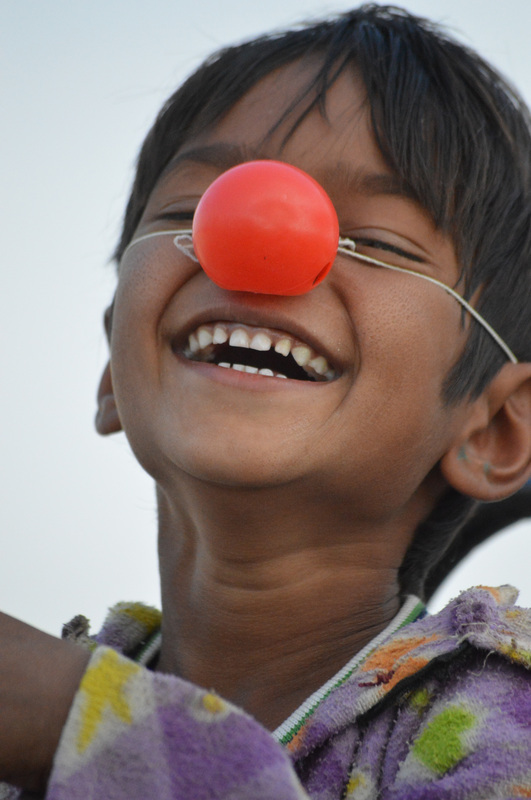 Clowning is about a shared humanity, laughing with people, instead of at people. I am a bit nervous about be open and vulnerable to strangers. Will this workshop be scary? We all acknowledge that performing on stage can be nerve-wracking. This workshop will be conducted in a very supportive, playful and encouraging space, enabling you to try new ideas and take creative risks. I am not very funny, so I don’t think this workshop is for me. This workshop is very much about self -discovery. You may confirm that you are not funny and every routine needs a straight person, for a clown to bounce off. However the more likely outcome is that others will find you funny in way that you never thought about. I am so busy. I don’t have time. It is really worth giving up a weekend? 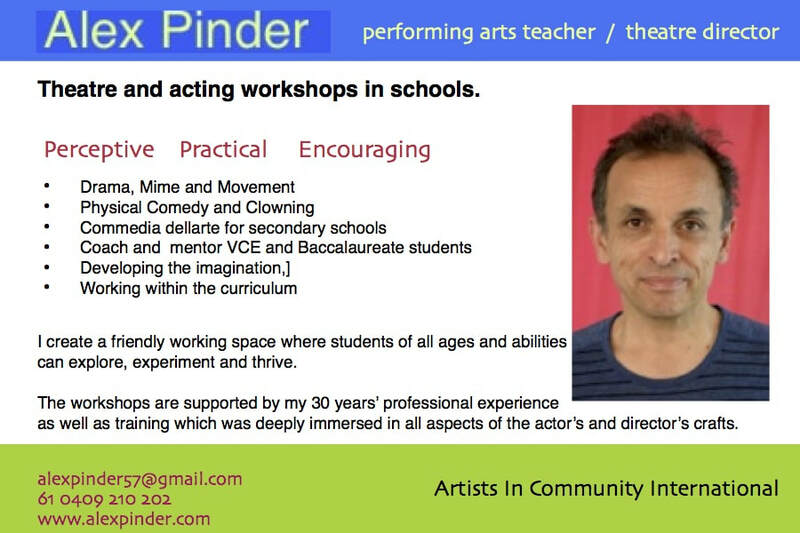 This workshop is very much an investment in you, as a performer. This is an opportunity for you to do something you love, to follow your passions. I trained as actor but haven’t done anything for years. I miss it! Can I come? Yes you can! This will be a great opportunity for you to re-discover your talent and passion. If you have anything, such as juggling balls or a musical instrument, and it is easy to carry, bring it. Sidelined Rehearsals. Go to link below for interview on ABC's RN's Life Matters. Sept. 2017 Great to be back in Singapore teaching at LASALLE after so many years. . 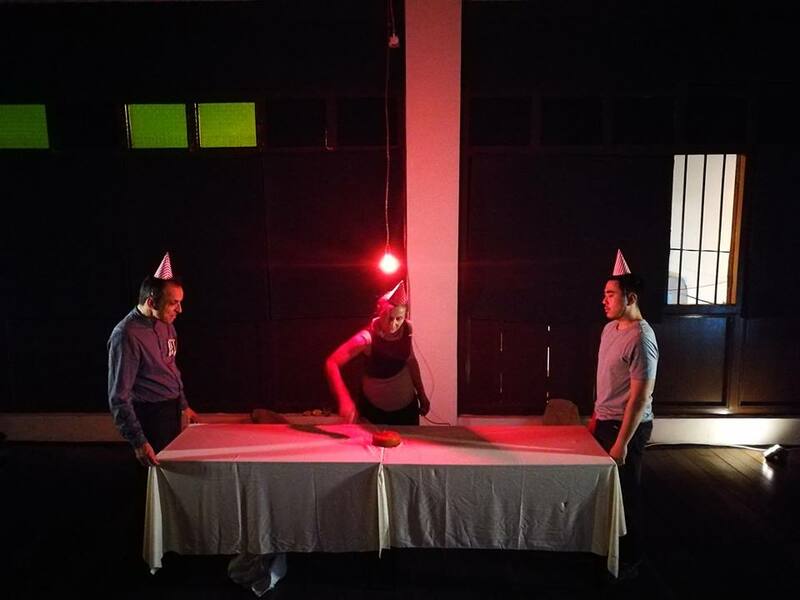 Very excited to be revisiting The Dead Twin (performed in 2015 at FCAC) for the George Town Festival in Penang Malaysia. We will be performing from the 2nd September. 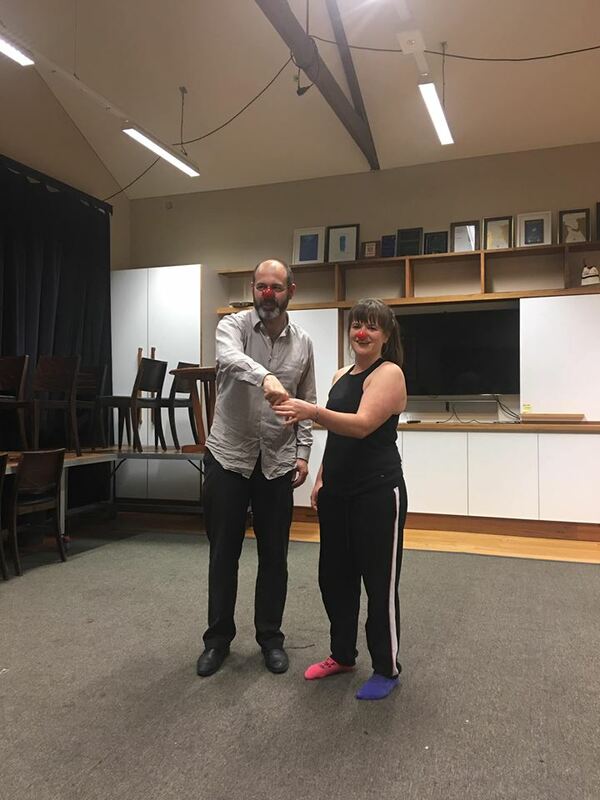 It was a pleasure to be teaching and sharing skills with a talented bunch of clowns at “Clown “O Clock”, as well as teaching at NICA. A pleasure to be running physical theatre workshops at The Malthouse Theatre. Through “Clown ‘O Clock” I met clown and street performer Daniel Oldeker. He asked me to help him in creating a new show for children. It will have it first outing at Brunswick Head NSW during the school holidays. 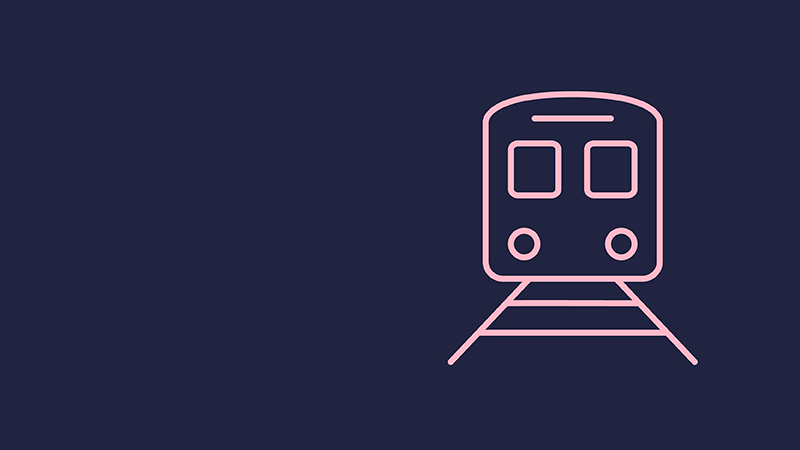 Working on a very special project for a community in SW Sydney for 3 bridges. Pat Cranney who I had met through Sidetrack Theatre in the early 1980's. 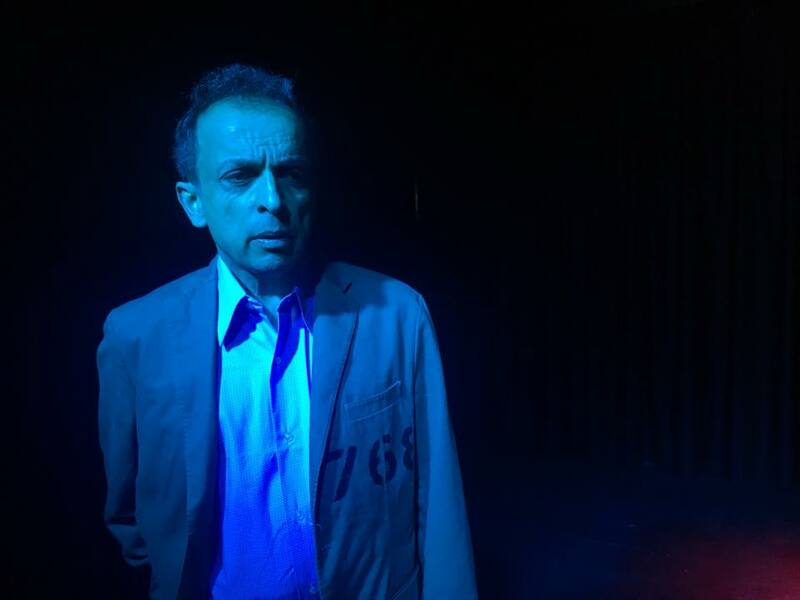 I am working on a short theatrical presentation looking at the effects of alzheimers on the man effected and his family..
La Mama Theatre's Tales of A City By the Sea for best production. 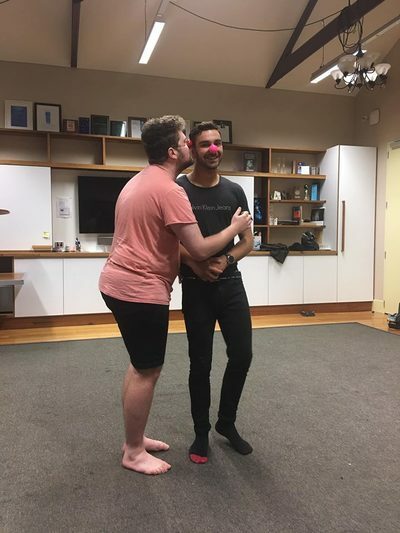 We have had a long-term relationship with MGIS starting in 2006, when I ran drama workshops in commedia dell’arte and mask with students and teachers. They have been strong supporters of our work and are firm believers in the value of arts and education. Go to blog for full story. ​Well, dear Friends and Supporters, it has been an interesting start to MakeDoTell 2017! We landed in India a few weeks ago into a situation where there is little cash available through banks and ATMs as the government is trying to de-monetorise the economy. Like last year when we landed in Nepal when there was no fuel, we are seeing how a country is affected when these things we take for granted are not easily available. Long queues form at ATMs and people can spend many hours in search of one that has cash. Unfortunately, our much-loved project in the Saltpans was cancelled at the last minute as our local people were no longer available to help us – particularly with translation. We always work closely with local people as their knowledge and connections make the project meaningful and sustainable; without them, it is just not possible to run a project – especially in these remote rural communities. We rescheduled our program and were made very welcome at the Mahatma Gandhi International School in Ahmedabad, where we have run many arts workshops with students and teachers over the last few years. 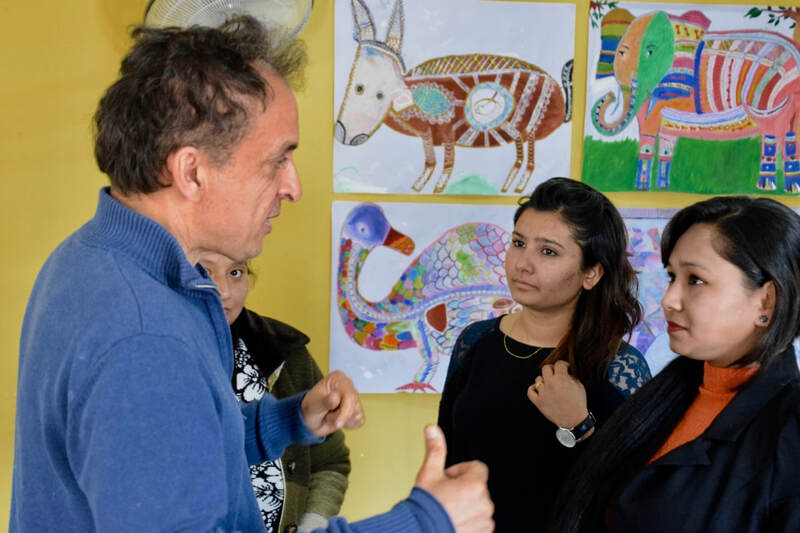 We had intended to come here later to help them with their community engagement projects, but at this time we are helping teachers develop art and drama skills. MGIS is a very progressive, socially-aware school who collaborate broadly and with very disadvantaged schools and communities, including schools in the salt pans. It may be that in a few weeks we will collaborate with them on one of their projects in the salt pans. We hope so. November 2016. 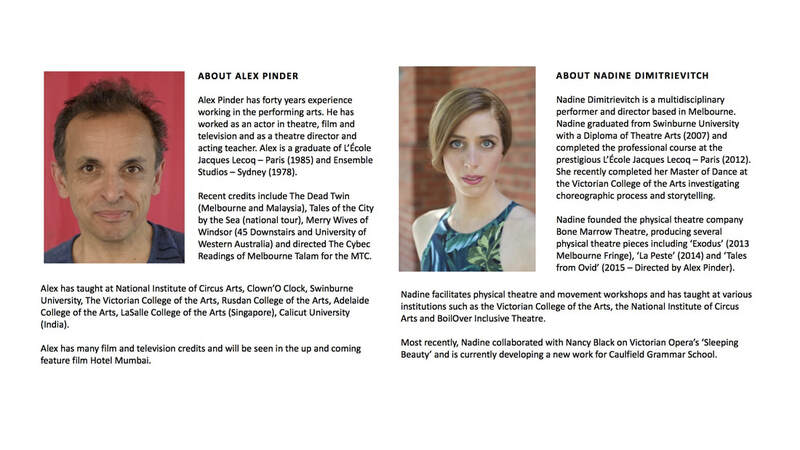 Play readings of new Australian plays aas part of The Arts Front Conference at Footscray Community Arts Centre. Produced by Jim Lawson. Directed by John Kachoyan. Tales of a City by the sea wins awards from drama Victoria best new Australian publication And best performance for VCE students by a theatre company. A great show to be involved in. make do Tell 2017 getting close to it's target. MakeDoTell 2017is happening in India. In addition to returning to the saltpans, we will spend most of our time training students and community leaders in arts practice for community development. This is in response to needs expressed by our partners in India as well as being good community development practice. Community leaders receive training so that skills and projects can be adapted, owned and run by, and within, particular communities. So we are asking you, once again, to jump on board and support the work. I’d love to! but how? 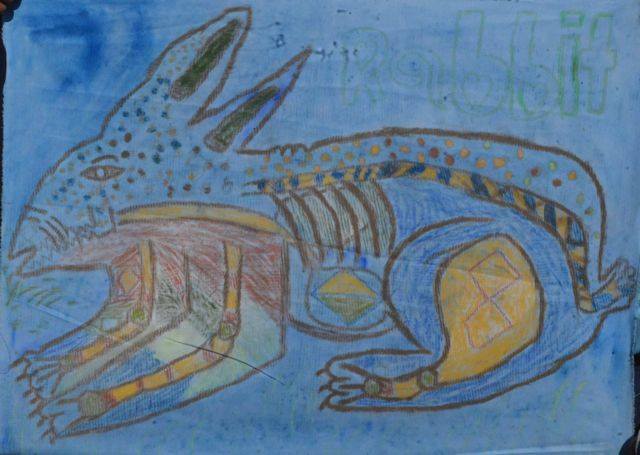 MakeDoTell is a skills based, arts and education, and arts and health project. We run it in partnership with communities, in schools and higher education, alongside health workers, teachers, social workers and artist to enhance wellbeing, access to education, and better health. 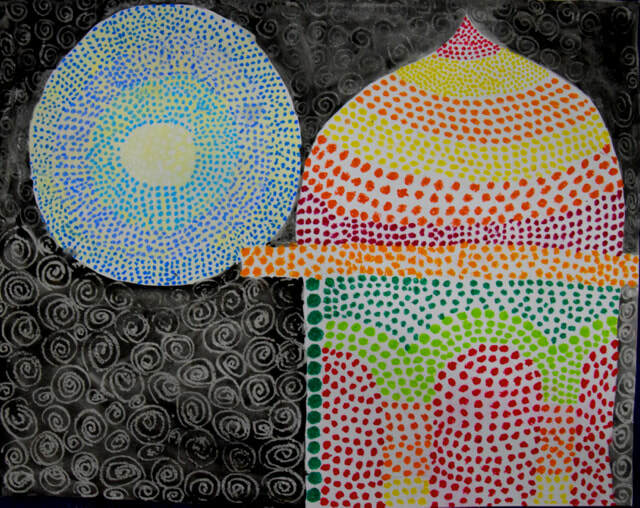 We strive to nurture creativity and the imagination in our participants – which can be applied in aspects of life. 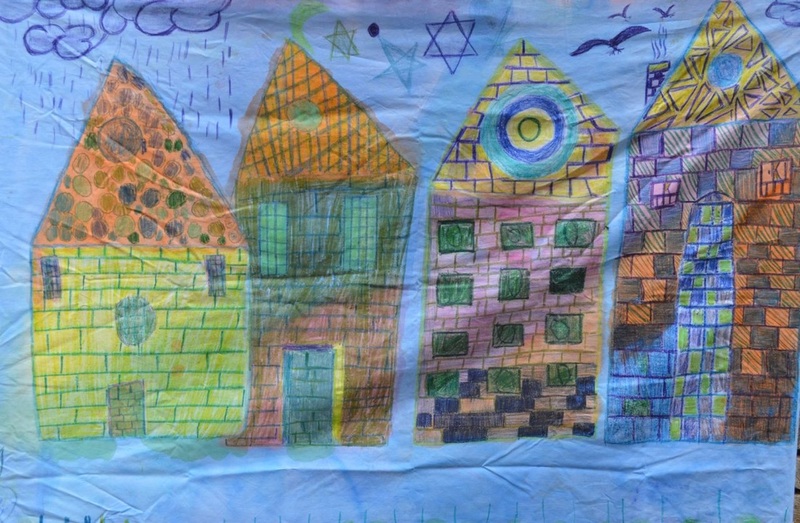 MakeDoTell: making art and theatre, being creative, learning, making childhood fun. MakeDoTell: doing drama and art together, being active. MakeDoTell: being resourceful and adaptable. 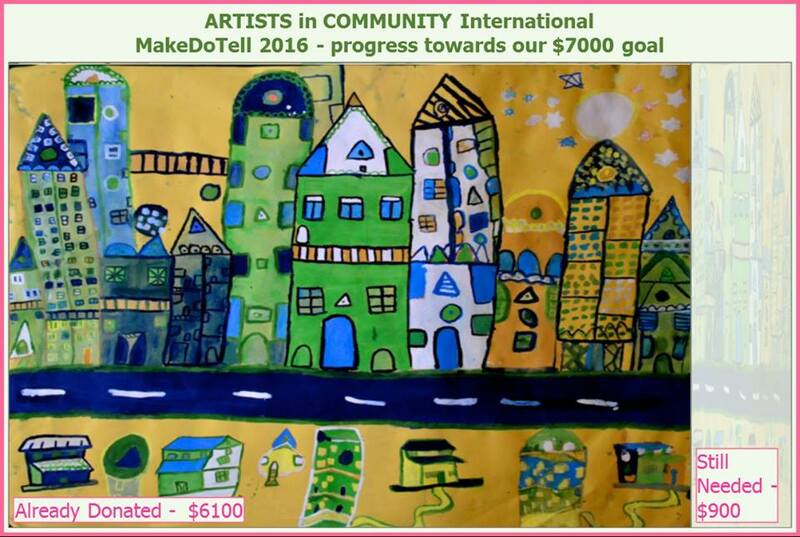 MakeDoTell: giving participants a voice through the arts. Creating stories of participants’ lives. We will be returning to the Salt Pans for our fifth visit. This time we will work in the community schools, helping support the teachers to bring imagination and creative practice into the classroom. The project here has developed gently for five years. In that time, we have forged strong relationships with many people in this desert community. 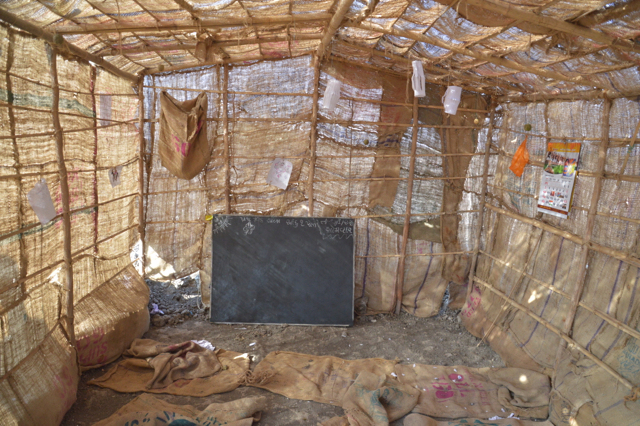 We have run art projects in the salt workers’ huts and last year, in the tiny local saltpan school. These projects happen with the invaluable input and support of our Indian colleagues Dhanraj Malik, Tarif Khan and local teachers. We are very excited to be expanding this project to include more of these small schools. Whilst in this desert area, we intend to run some workshops in the local high school and after school program for children who have little access to resources. ﻿Artists in community International looking for proposals for 2017. We are excited to be planning the next Make do Tell. This year we are inviting you : organisations, community groups, and individuals working in the arts, community, education or health to submit a proposal to be included in this project. We are a small group of independent artists, without on-going funding. 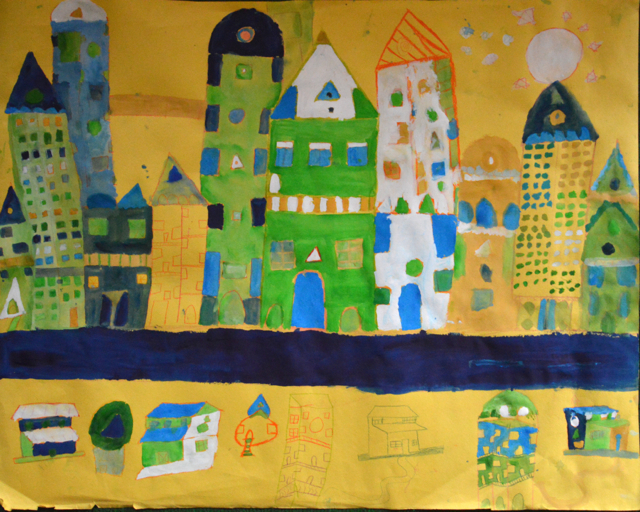 We have supporters who have helped raise money for particular arts and community projects, whilst partner organisations contribute to the projects in many ways including: financial support, staff, accommodation, materials, transport, translators and administrative assistance. Artists in Community International is not a funding organisation. If you would like to know more about what we do and what we offer, look at our website https://artistsincommunity.me and Facebook page, Artists in Community International. AN EXCITING INTENSE AND REWARDING WEEK AT THE NATIONAL PLAY FESTIVAL WORKSHOPPING FOUR NEW SCRIPTS BY YOUNG ASIAN WOMEN WRITERS HERE IS HOPING THAT SOME MAY COME TO FULL PRODUCTION IN THE YEARS AHEAD. Coming to Adelaide! 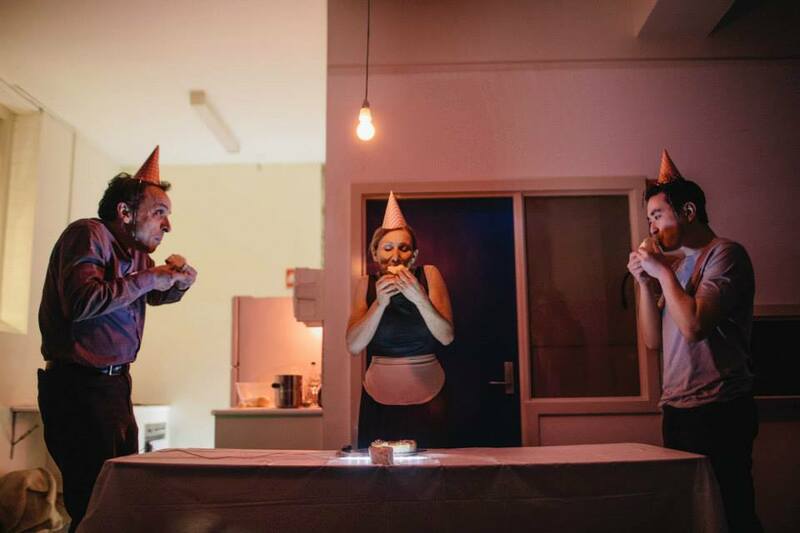 Tales opens for two weeks in Adelaide at The Bakehouse Theatre. A unique and poetic journey exploring the lives of ordinary people facing extraordinary challenges in the besieged and war torn Gaza Strip. Jomana, a woman from the Shati refugee camp falls in love with Rami, an American Palestinian doctor on a humanitarian mission. Can their love transcend closed borders, falling bombs and high prison walls? 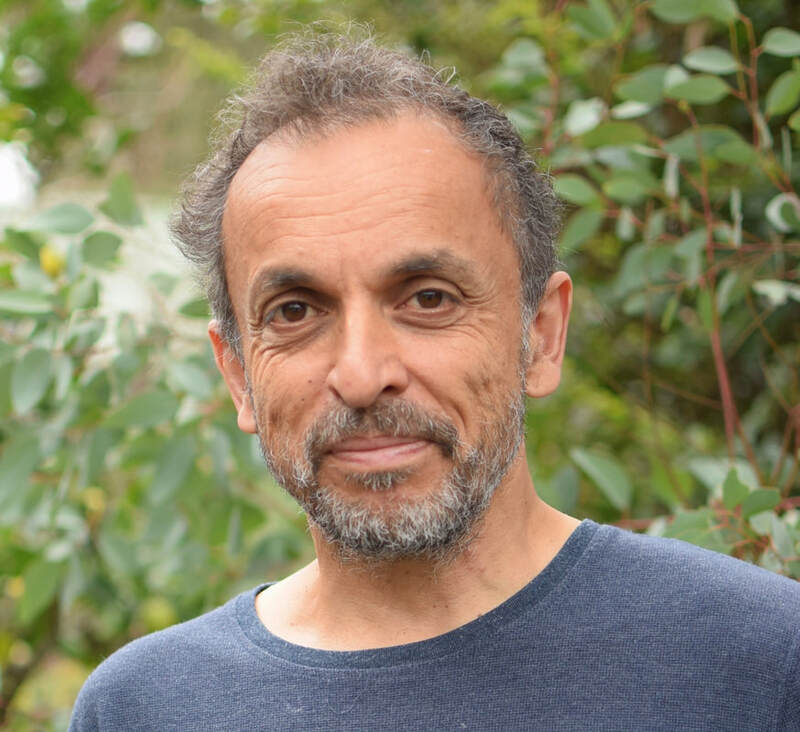 "ALEX PINDER CAPTURES OUR HEARTS WITH HIS SENSITIVE PORTRAYAL OF JOMANA'S FATHER, ABU AHMAD"
tales of a city soon in sydney!! 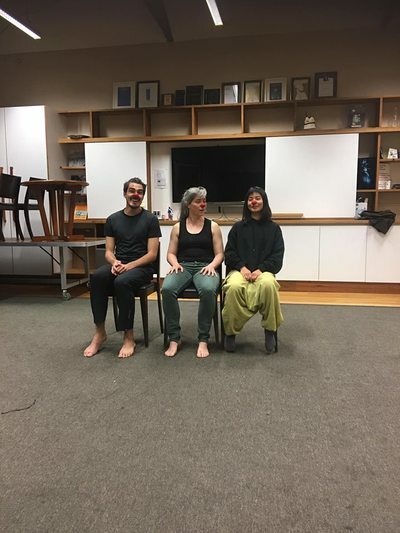 Tales of City By The Sea https://australianculturalfund.org.au/projects/tales-of-a-city-by-the-sea-on-tour/ I have just joined this company . 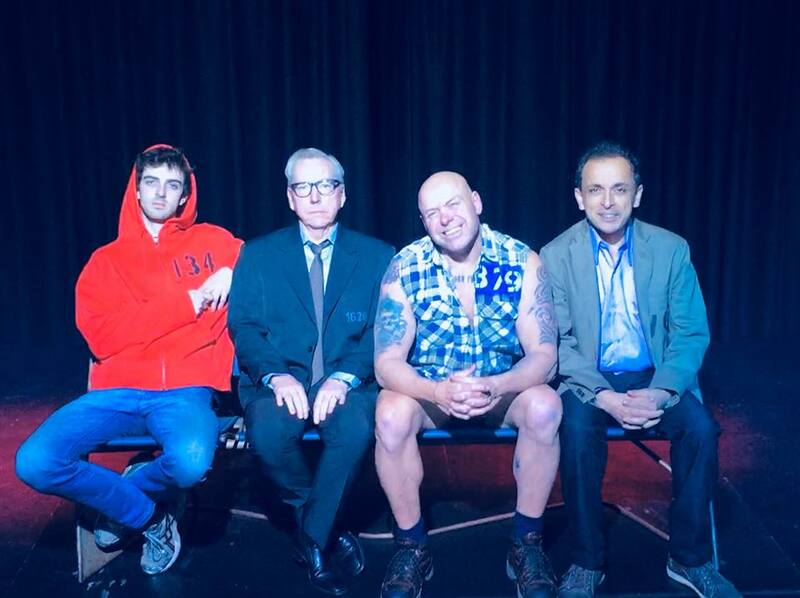 we will open at La Mama Courthouse Theatre in May ! 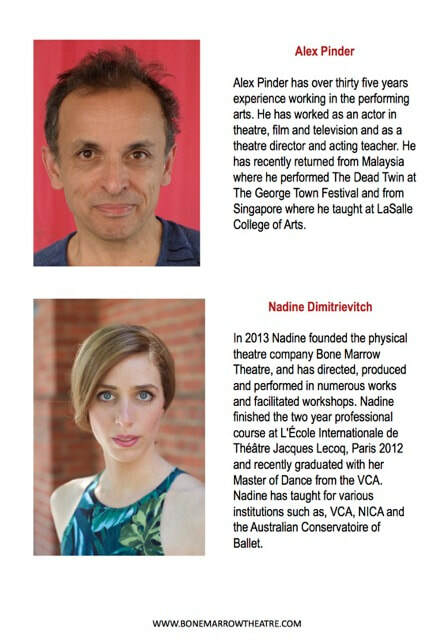 At The MTC Cybec Readings February 25th and February 27th. ​​POORNA: I could have taken the earlier train if I had walked faster. But I was enjoying the music … and you have to time it right. If you follow the beat of the city, your life never goes off-key. Three young people see each other across a crowded Flagstaff station. They just missed the train. Now they wait. And think. They think about home (Punjab/Delhi/Hyderabad). And about how they just can’t seem to get Melbourne’s rhythm right. And of all the impossible things they must do to stay. And, their time is running out. Merry Wives of Windsor by William Shakespeare. ​in Acting, Improvisation, Clowning and Slapstick, Mask Mime and Movement, Shakespeare, Commedia Dell' Arte, Greek Tragedy. Working out the details of our upcoming Make Do Tell project in Nepal and India. Will you support our projects with vulnerable communities? We will launch our funding-raising campaign in October. look on our website www.artistsincommunity.me for more about these projects. News from July and August 2015. I then went to Queensland to play a guest role on Mako 3, a children's TV series, to be seen next year. I am about to start a small role on Neighbours, and have been very busy performing in The Dead Twin, which seemed to be very well received . .
"The Dead Twin’s ensemble is a stellar combination".Lian Low Peril. "Pinder’s Howard is wonderfully joyous and bubbly, bringing a real lightness to the piece which enhances the darkness of the ending". FIONA SPITZKOWSKY —Theatre People. "Pinder and Leiser-Moore perfect the relationship between Harold and Barbara, which is both intimate and terribly lonely. These parents are suffocated by the traumatic experience they have shared with losing one of their sons, and the starkly different ways in which they handle their agony are portrayed effortlessly." "The Dead Twin uses horror in art to examine pain and trauma, and the various ways in which it is dealt with, while also combining remarkable performances, intricate sounds and an impressive, ingenious set. 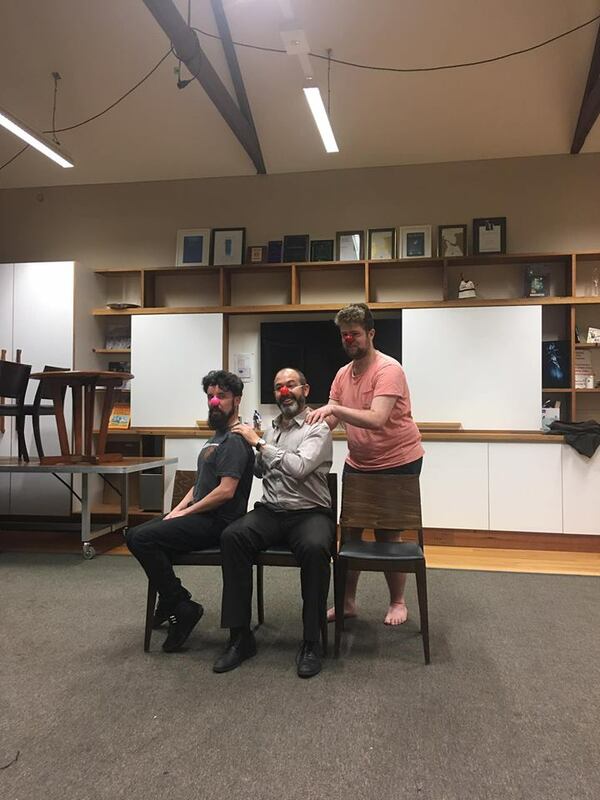 This winning blend of elements has resulted in an excellent theatrical creation, which can only be described as an experience rather than a mere play." Steve is a young man with a bright future. When he meets Lola, he develops the ability to contact his long dead twin, who died during war. Steve’s parents have a pact not to talk about the twin, but each of them dreams of encountering him. SECRET DEPARTURE POINT in Footscray. Ticket holders will be notified where to meet ahead of the performance. June 2015The day I Left Home Rehearsals. 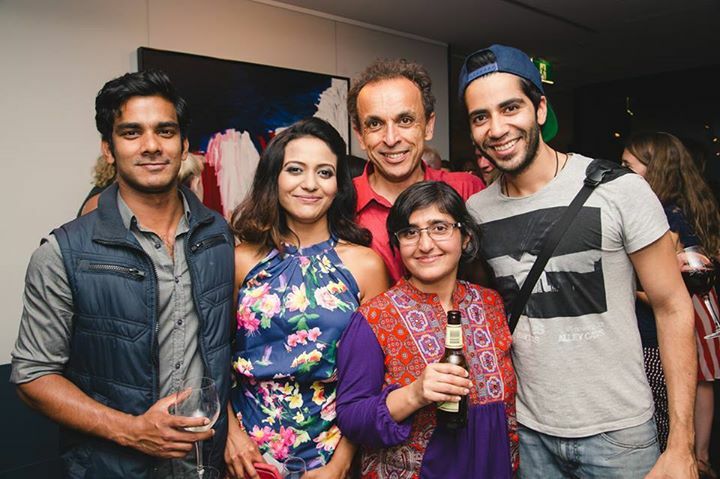 Inspired by real-life stories including suicide by Indian students, told in English with smatterings of three Indian languages, the play weaves narratives of three Indians who are struggling to find their moorings in Melbourne. 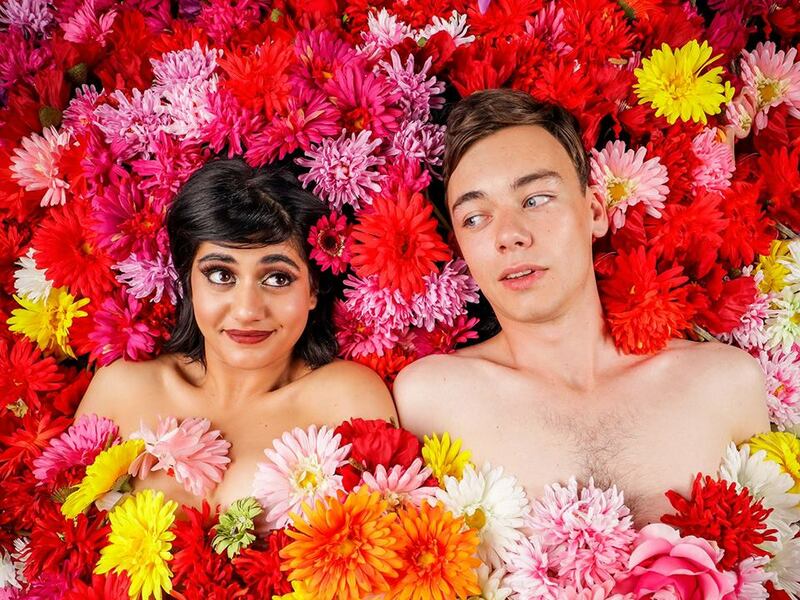 Jasminder, Poorv and Sonali struggle to tune their lives to Melbourne Taalam - missing beats and going off-key, singing nevertheless. At St. Martins Youth Arts Centre. 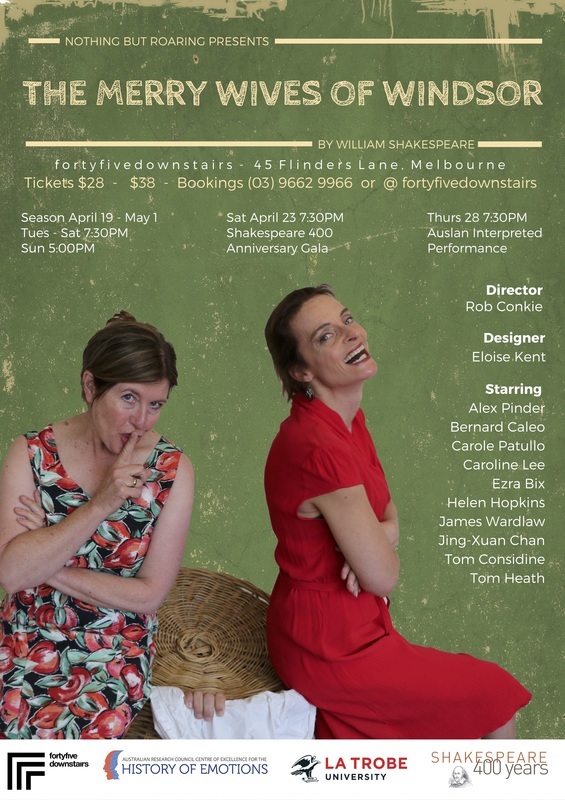 MELBOURNE, 29 March 2015. : The Sandpit, 148A Barkly Street, St Kilda. 3pmPlease join us for a presentation about MAKE DO TELL, our recent art and drama project tour in India and Nepal. Big big thank you to all our friends and supporters who joined us today at the SANDPIT St Kilda for our presentation about our MAKE DO TELL art and drama projects in Nepal and India. We were delighted by the interest in the work and the sea of friendly faces who understand the how the arts transform communities and individuals. We were really pleased to hear that people feel part of Artists in Community International and will continue supporting our Make Do Tell projects. We are grateful to Geoffrey Williams, Director at the SANDPIT for his generosity in hosting today's event. Thank you! at Southbank Theatre The Lawler. 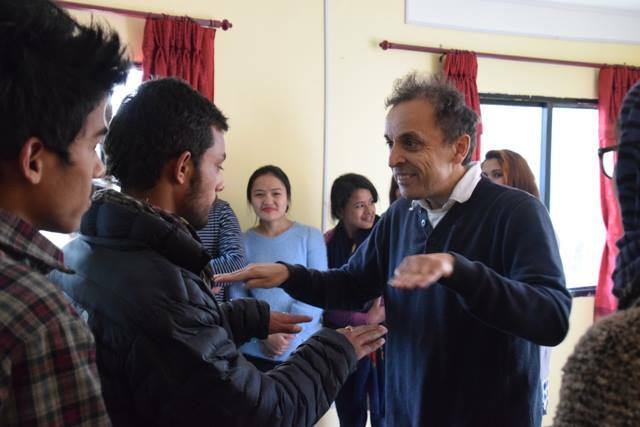 enabling us to continue our work in India and Nepal providing art and drama workshops for streetchildren in Bhatapur and the salt pan comunities in Gujarat. Thank you, thank you to all who donated!!! under the sea. Later we will create characters and stories through movement and mime. For primary students and lower secondary. dell’arte.We will discover the relevance of this 16th Century style of in modern theatre. performers in discovering more about themselves and the world around them. explore possibilities of devising character and situation. 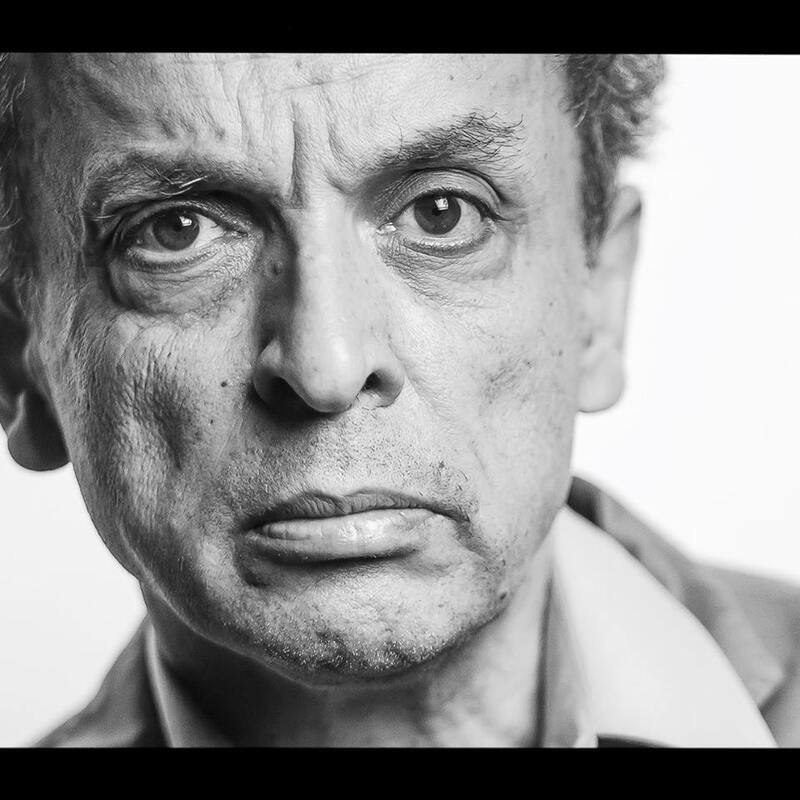 practical actor’s approach to the text that makes it accessible and exciting. 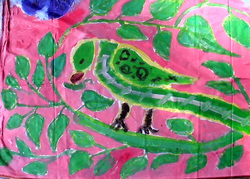 workshop that develops self-confidence, as well as the imagination and creativity. Suitable for primary and lower secondary schools. Tagore Tales available for performing in your home garden or school, or college. see picture below of performance in India Set in rural pre-independence India, Tagore’s keen observations reveal the social reality that still is a relevant today as when it was written in the late 19th Century. In the great tradition of story-telling, beautiful and poetic images are conjured up to transport audiences to the exotic world of India. These stories sit beautifully in the garden, home, community centre, theatre or school or festival setting and are ideal for adolescents and adults listeners who enjoy language, nature and intrigue. Told with humour and humanity Contact me on 0409210202 for details. Tagore tales is available in your home garden or theatre setting. Make Do Tell Presentation Sunday 30th March. Thanks to all who came to our presentation. It was truly humbling to recieve your very positive response. We woud be happy to give this presentation to yur school or organisation. 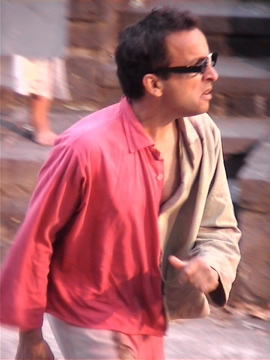 February 2014Performing Tagore Tales at Darpana Performing Arts Academy Ahmedabad India . "Full House" takes in The Middle of the Night on 29th November 2013. Fullhouse takes shows from the theatre into their homes giving another opportunity to perform. Full houses Di Silber invited me to do just that after see my In the Middle of the Night at La Mama in February. I performed in a beautiful home in Toorak to a very appreciative audience. A joy to do, my thanks to Di Silber and to Mary and Peter who hosted the evening . In the Middle of the night will be in Sydney on December the 16th and is available for homes and gardens throughout next year. November 2013.We are pleased to announce we have reached our goal in obtaining funds through our crowd sourcing pozible campaign. 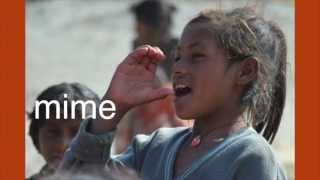 We will be heading to Nepal at the end of December to work with street children, in order to Make Art Do Theatre children to tell their stories. We will keep you posted. for Artists in Community International Fundraiser. up to transport audiences to the exotic world of India. listeners who enjoy language, nature and intrigue. to return to Nepal for 2014.
the Street Children of Bhaktapur. space in which to play, explore and enjoy their childhood. return trip starting January 2014 here www.artistsincommunity.me. 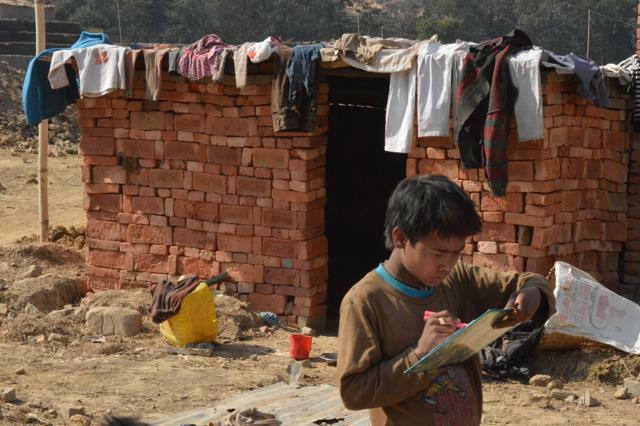 If we raise more than $6500 we will also run projects with other communities in Nepal and India. 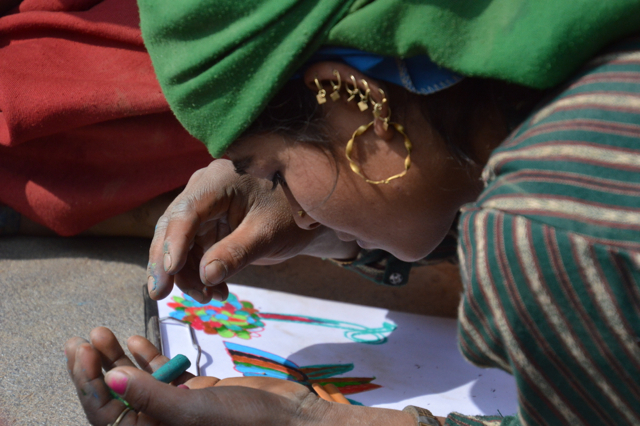 All our rewards for the project will be sourced in Bhaktapur to support the local artisans of that city. We will be very grateful for any support you are able to contribute and you can be assured that it will bring much joy and pleasure to these children whose lives are very hard. 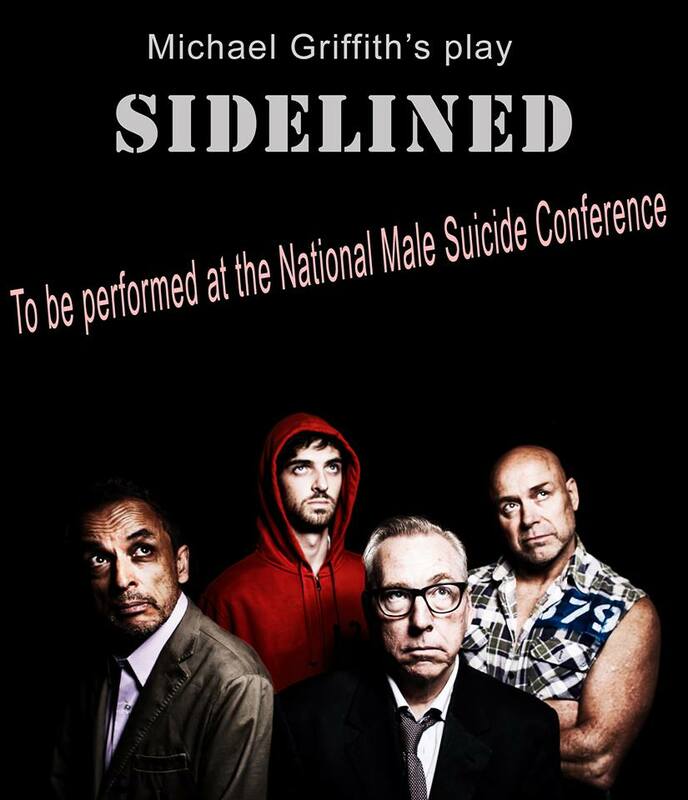 Please pass onto your friends and colleagues who may be interested in supporting Make Do Tell. I am back in Swan Hill this week running workshops for the Fairfax Festival. I have arrived in Swan Hill to start work on the Fairfax festival with school groups see www.fairfaxfestival.com.au I will be here a for three workshops between now and the festival opening on the 17th September. 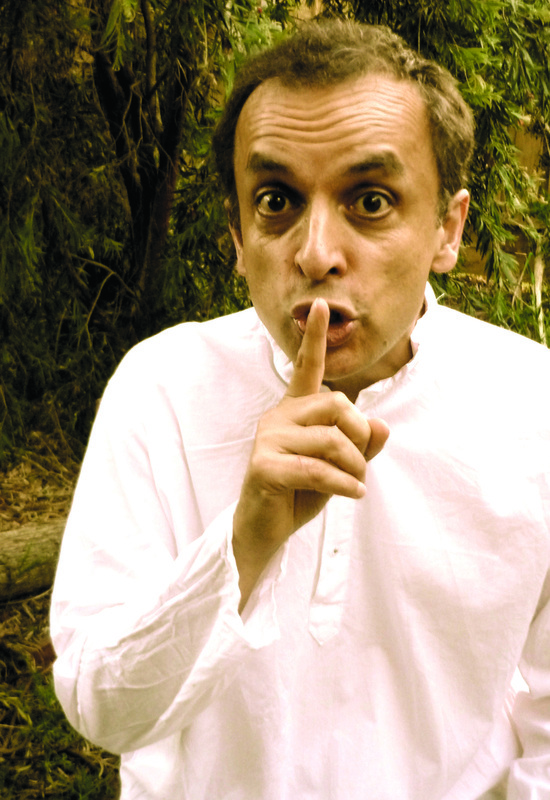 Tagore's In the Middle of the Night comes to the Potato Shed on Saturday 20th July. I will be telling the ghosts stories in my one person show at The Potato Shed in Drysdale. 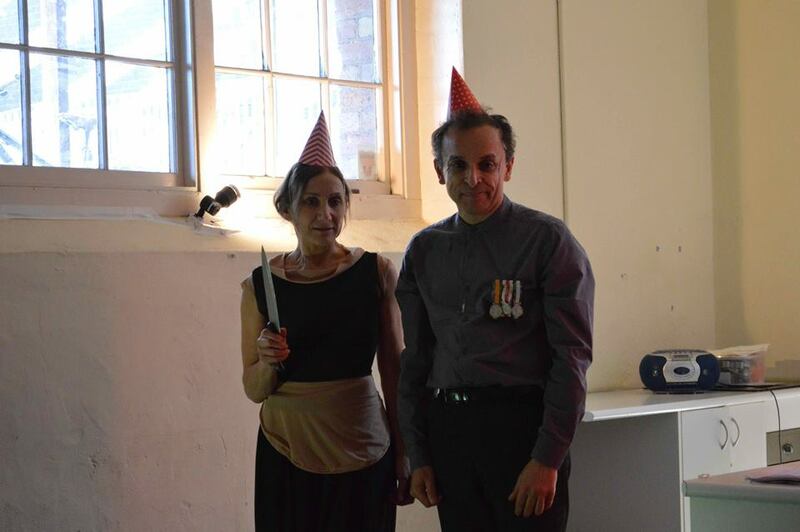 May 26th 2013 7pm I will be performing In the Middle of Night in The Bishop's Parlour at The Abbotsford Convent as part of "The Enchanted Evenings "
schools, community centres and festivals. Two ghost stories of love, loss, desire and grief written by prolific Bengali writer noble prize winning writer Rabindranath Tagore. In the great tradition of story-telling, along with the beautiful and poetic images conjured up by Tagore‘s prolific writing, you and your friends and will share the experience of being transported to the exotic world of India. Told by actor Alex Pinder, the stories will sit beautifully in your garden, home, community centre, theatre or school or festival setting. Rabindranath Tagore (1861-1941) was a poet novelist musician playwright and educator. Rabindranath Tagore wrote thousands of poems, songs, stories and articles. He was the first non-European Nobel Laureate, a towering intellect he was the founder of a university at Santiniketan. He was a passionate advocate for an alternative education system whereby lectures, were conducted outdoors. at La Salle School of Arts Singapore. movement and mime. For primary students and lower secondary. discovering more about themselves and the world around them. possibilities of devising character and situation. accessible and exciting. Suitable for upper secondary students. students to loosen inhibitions and to work with each other co-operatively. P.D. Workshops for Artists working in the Community. Visual artists Anne Riggs (anneriggs.com) Have been running workshops through local councils for artists both visual and performing who are or wish to work with communities. In recent months we have been running workshops through the City of Casey and are available to run further workshops.